Kittredge Center, Room 301, Holyoke Community College, Holyoke, 11 a.m. 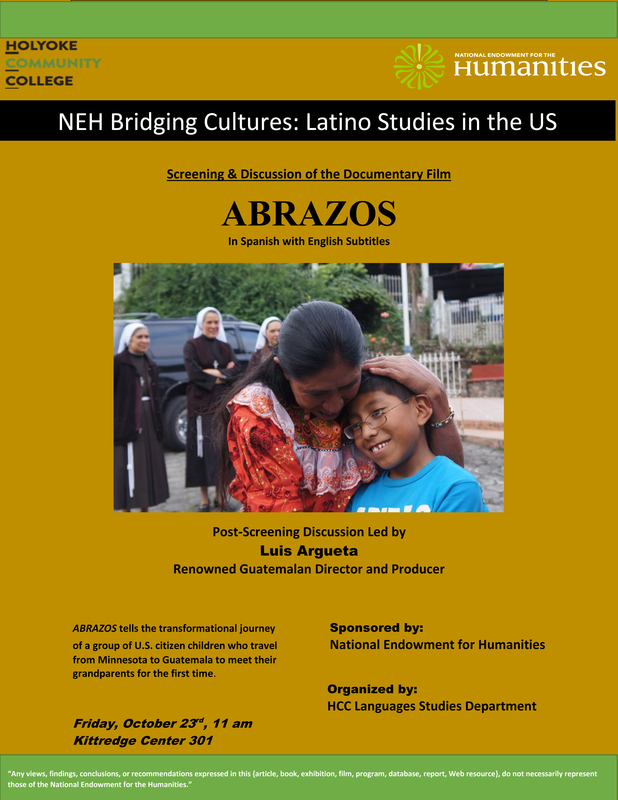 Sponsored by an NEH Building Cultures grant, the Language Studies department at HCC is hosting a screening of the documentary Abrazos (40 minutes) and a Q&A with Guatemalan Director Luis Argueta. The film is about the US citizen children of undocumented Guatemalans and their journey to meet their ancestors. Friday, October 9 at 9 p.m. Hear Latin-infused arrangements of iconic songs such as “Smooth Criminal,” “I Want You Back” and “Billie Jean” in this concert special hosted by Sheila E, featuring award-winning Latin artists. Friday, October 9 at 10 p.m.
Join host Rita Moreno for a celebration of the country’s highest tribute to Latinos by Latinos. 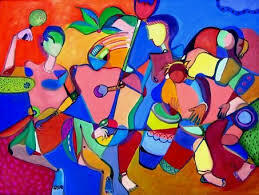 The program includes performances and appearances by celebrated Hispanic artists. Tuesday, September 22 at 10 p.m. Examine the Latino experience during the Vietnam war through firsthand accounts from Latino veterans and their families. In past wars, Latino civil rights activists used high rates of military participation to prove their worth as good citizens. This time, activists argued that Latinos were being exploited. Latinos organized antiwar events to address both the war and conditions at home, culminating in unprecedented protest rallies. Many returned ill-prepared for college and to the same limited career options they had before leaving home. Monday, September 21 at 10 p.m.
Meet immigrant activist Angy Rivera, the country’s only advice columnist for undocumented youth. In a community where silence is often seen as necessary for survival, she steps out of the shadows to share her own experiences of being undocumented and sexually abused. While her three younger siblings were born in the U.S. and had full citizenship, Rivera and her mother, who was also undocumented, faced the constant fear of discovery. Rivera eventually received a visa, but as the film portrays, Angy’s support of other undocumented young people has not wavered. Friday, September 18 at 9 p.m. Discover the remarkable life and work of Pedro E. Guerrero, a Mexican American who had an extraordinary international photography career. Explore his collaborations with three of the most iconic American artists of the 20th century: architect Frank Lloyd Wright and sculptors Alexander Calder and Louise Nevelson. Growing up, Guerrero attended “Mexican only” segregated schools and experienced a society that made him feel out of place and unworthy. Guerrero was just 22 when Frank Lloyd Wright hired him to document Taliesin West, his desert home. Wright’s spur-of-the moment decision whisked Guerrero away almost overnight from small-town intolerance to an association that lasted until the architect’s death in 1959. Thursday, September 17 from 4-8 p.m.
Mayor Alex Morse will read a proclamation opening the month-long celebration of National Hispanic Heritage Month in Holyoke at 5 pm. There will be a flag presentation of all twenty Hispanic countries accompanied by Folkloric dance performances, by the group ‘Tradiciones ’, and a Concert-Dance party, with live music by Cuban born William Rodriguez and his group, ‘Wilo’ and Friends. Many other events are planned for the Celebration between September 15th and October 15th. This celebration not only salutes the heritage of these countries but the contributions made by people who have moved to Holyoke and have made this cold weather, industrial, Yankee city their home bringing with them vibrancy, scholarship, literature, traditional customs and beliefs, food and a broad understanding of the world which has enriched us all. Venue: Downtown Springfield, 11 a.m.
Springfield’s Puerto Rican Parade honors and celebrates the legacy and many contributions of the Puerto Rican Community in Springfield. Come join the fun on the streets of downtown Springfield!